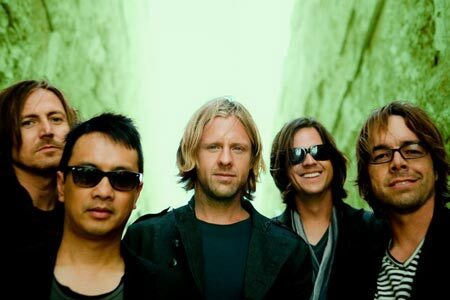 Switchfoot Biography, Discography, Music News on 100 XR - The Net's #1 Rock Station!!! The roots of this Alternative-Rock, Christian-Rock band can be traced back to the beaches of San Diego, California USA, in the mid-'90s, when Jonathan Foreman, his brother Tim and Chad Butler connected as surfers; though they competed in national surf championships on weekends and earned product endorsements from equipment companies, the real bond came from a common love of music. They decided to form a band, with Jonathan on guitar and vocals, Tim on bass and Butler on drums, they then chose the name Switchfoot, a surfing term, put themselves through months of sweaty garage band workouts and hit the road. Signing to re:Think Records, the trio released "The Legend Of Chin" in June 1997. 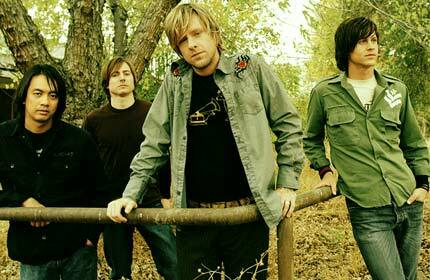 Two years later Switchfoot returned to release their sophomore effort, "New Way To Be Human", which reached the #21 spot on the U.S. Top Contemporary Christian Albums chart. Keyboardist Jerome Fontamillas joined Switchfoot in 2000 as a session player on the band's independently released "Learning To Breathe", this album matched its predecessor's performance peaking at #23 on Billboard's Top Contemporary Christian list. The group re-emerged two and a half years later, in February 2003, with the fourth full-length disc, the Columbia/RED Ink debut "The Beautiful Letdown", the disc quickly climbed into the top 3 of The Contemporary Christian Albums chart; after debuting at #85 on The Billboard 200, the album slowly scaled the chart, peaking at #16 in July 2004. The first single, "Meant To Live", peaked at #5 on The Modern Rock chart and cracked the top 20 of The Billboard Hot 100; the follow-up single, "Dare You To Move", reached the #17 spot on The Billboard Hot 100 and also hit the top 10 of The Modern Rock Tracks. Meanwhile, the band has been tearing up venues across the country during a three-month sold-out headlining tour. In addition to selling out four nights in Los Angeles, the quartet shared festival stages with the likes of Jane's Addiction and Audioslave. 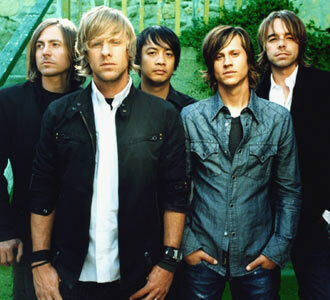 In 2005 Switchfoot expanded to a five-piece with the addition of guitarist Andrew Shirley before they dropped their next album. That September "Nothing Is Sound" quickly catapulted to the #1 position on the Top Christian Albums chart and peaked at #3 on Billboard's all-genre Top 200 chart. The first single off the CD entitled "Stars" peaked at #16 on The Modern Rock chart and "We Are One Tonight" reached #29 on the Adult Top 40 chart. A bit over one year later, the band released "Oh! Gravity"; although the disc hit #1 on the Top Christian Albums chart as well as the top 20 of The Billboard 200, sales quickly waned and it failed to acquire gold or platinum level like their two previous albums. The title-track was the sole single to make much of an impact, landing in the top 40 of The Hot Modern Rock chart. 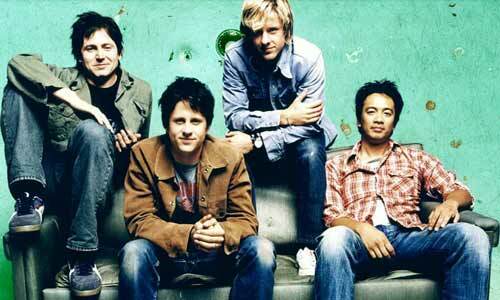 In November 2009 Switchfoot issued its seventh album, "Hello Hurricane", via lowercase people records/Atlantic. The disc peaked at #13 on The Billboard Top 200 chart while the first single, "Mess Of Me", equaled the peak position of the album on The Alternative Songs listing and the follow-up, "The Sound (John M. Perkins' Blues)", grabbed a #7 spot on the same chart. The final single, "Bullet Soul", was a minor hit at Modern Rock radio. Switchfoot's next studio album, "Vice Verses", was released in September 2011 and enjoyed a 10-week chart run in The Billboard 200 peaking at #8. The first single, "Dark Horses", became a huge hit on Alternative and Rock stations as it crawled up to #5 and #17 on the Billboard charts; it was followed by another Alternative Songs top 20 hit, "Afterlife". Switchfoot are out with a new single, "Who We Are" and a new 3-song EP, the set serves as a preview for the band's upcoming full-length album, "Fading West", projected to be released on January 14, 2014.